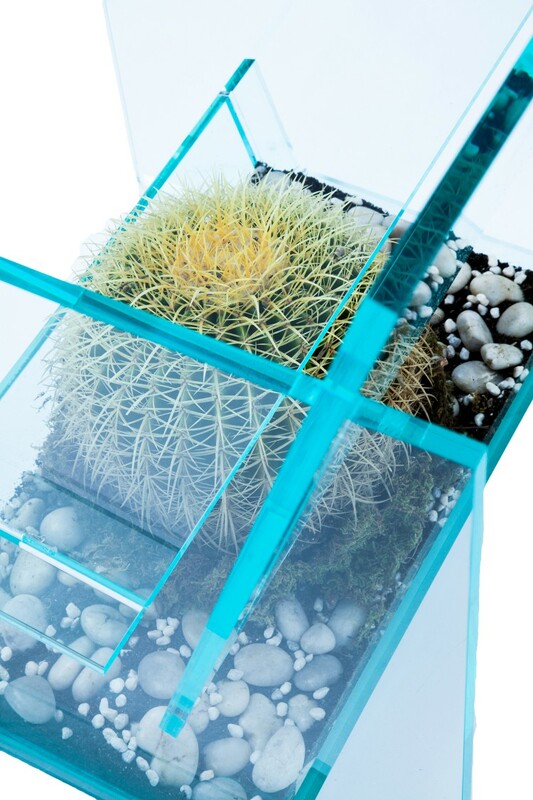 Designers Vedat Ulgen and Deger Ceniz have juxtaposed the concept of modernity with nature, the sleek with the rough, and transparent with opaque in their novel lucite chair that houses a large, prickly barrel cactus sitting directly under the seat portion. 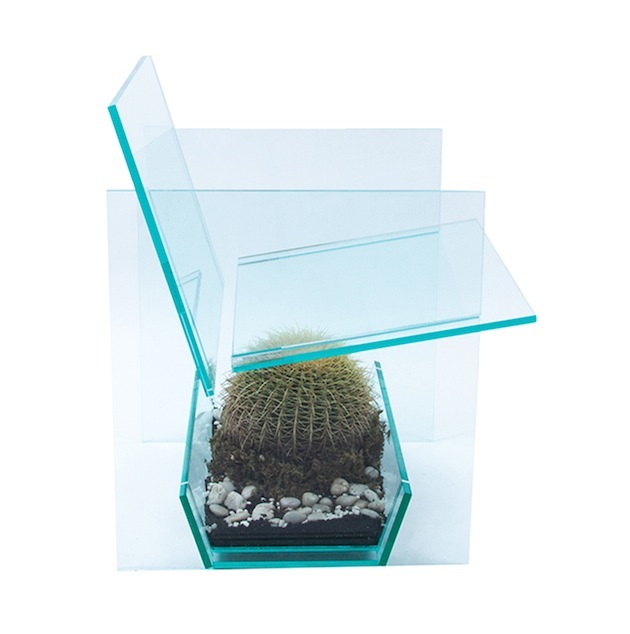 The cast acrylic planes make the chair completely transparent. The geometric shape gives the chair its rigid structure. 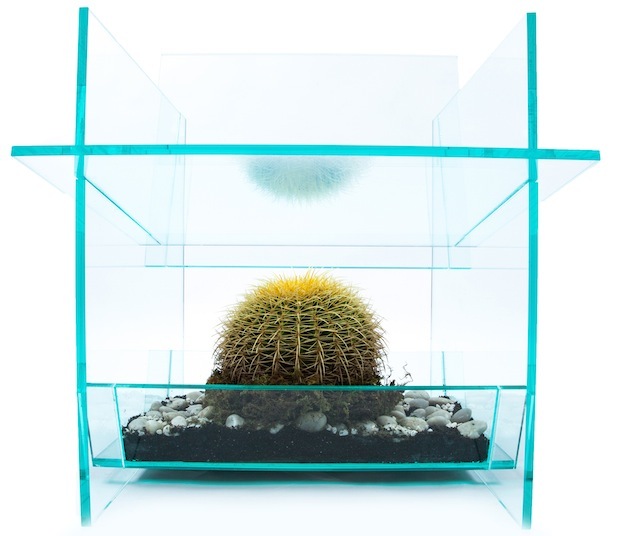 The initial fear of sitting on top of the cactus will keep them on the edge of their seat. 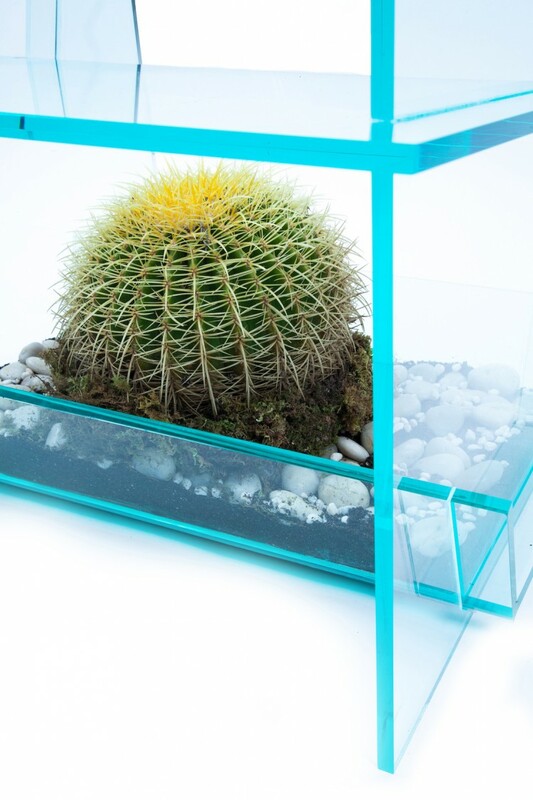 Comes with 10 inch Barrel Cactus. The chair is available for purchase via Thislexik located in Red Hook, Brooklyn.